Napoleon’s sister Carolina Bonaparte was born on this day in 1782. She was 13 years younger than Napoleon, which means she was only an 11-year-old child at the time he became a general. When Napoleon took power in France, she was only 17. She fell in love with one of Napoleon’s generals – Joachim Murat – whom she married in 1800 (before she was even 18). Napoleon was allegedly against the marriage at first, but Josephine convinced him to change his mind. 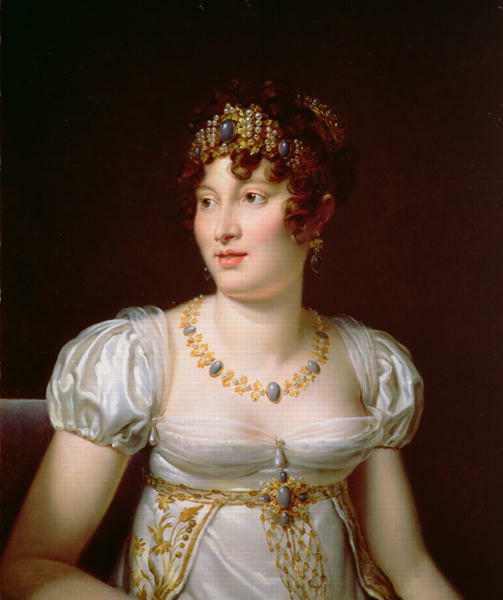 Since her husband Joachim Murat became the King of Naples, Caroline became the queen, the only among Napoleon’s sisters to attain such a title. However, Napoleon’s other two sisters still attained high ranks – Elisa became the Grand Duchess of Tuscany, while Pauline became the Duchess of Guastalla. Caroline and Joachim Murat had two sons and two daughters. It is interesting that their older son, Achille Murat, later emigrated to the USA, where he even became the mayor of Tallahassee, the capital of Florida. After Joachim Murat was overthrown and executed, the widowed Caroline lived in exile. She married again in 1830, to Francesco Macdonald. She died in 1839, at the age of 57.